K.C. is an Organics Recycling Specialist for the CT DEEP Source Reduction and Recycling Program. She began her career with DEP (now DEEP) in the field of waste management in 1983 spending 5 years in solid waste enforcement before being recruited to join the newly formed Recycling Program in 1988. During the formative years of that program she helped initiate the policies and regulations that would guide statewide recycling efforts. She was instrumental in establishing statewide leaf composting and DEEP's office composting program. K.C. Compost, as she has become to be known, has led DEEP's organics recycling efforts through numerous projects including food scrap recycling pilots, organics generator mapping, compost use research, and production of videos and other educational materials that have been adopted by other states. Most recently she was instrumental in developing legislation that effectively guarantees food scrap feedstock for organics recycling facilities and she looks forward to seeing organics recycling capacity in CT increase. Ron has served as Deputy Commissioner of the Connecticut Department of Economic and Community Development (DECD) since 2004. He is responsible for administering several economic and community development programs including the department's Office of Business and Industry Development and the Office of Municipal Development. He oversees programs that target retention and expansion of in-state businesses as well as state and federal programs that focus on building stronger neighborhoods and communities. In addition, Deputy Commissioner Angelo has oversight of economic development projects for the City of Hartford and other municipalities where DECD is a partner. 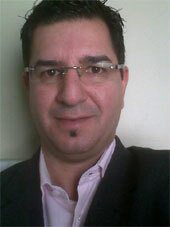 Mr. Angelo has extensive experience in the private sector and brings strong business management skills to DECD. He has started, bought and sold several small businesses. Mr. Angelo was also Owner and President of RFA Associates, which served as a representative for national and international manufacturers. Mr. Angelo previously held several management positions with the former Connecticut Bank and Trust Company and Fleet Bank where he served as Vice President of Personal Asset Management. He earned his BA in Economics from the University of Connecticut. Jim a Hamden, Connecticut native, graduated from New Haven College in 1973 as a business management major. He soon began his career as a Mack Truck salesman, which led to a sales job with Penske Leasing which ultimately led to the formation of Jim's first business venture, Barberino Truck Leasing in 1984. 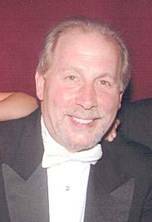 In 1987 he sold Barberino to Lily Transportation Corp where he worked for five years. In 1993 Jim started Custom Recycling, Inc. where he recycles and remanufactures wooden pallets. Custom expanded quickly going from three employees to 47 in four years. In 2005 while still operating Custom Recycling Jim bought Russell Partition Co. a manufacturer of corrugated protective packaging. In 2010 Atlantic Pulp was established as a spin-off of Russell to manufacture molded pulp packaging, Atlantic is the only manufacturer of its kind on the east coast making the "greenest" most sustainable packaging available. Jim is also a scratch golfer having won multiple championships at both the club and state levels. Eileen has served as a consultant to the public and private sector on issues of solid waste management for the past 30 years. Specialties include local public management, solid waste planning studies and policy evaluations in the area of recycling, waste reduction and alternative waste disposal methods. As a principal in the firm Governmental Advisory Associates, Inc. she has conducted numerous analyses and studies of waste management and recycling programs. She is the author and publisher of major Yearbooks on recycling, waste to energy, and landfill gas projects. These books periodically survey current and emerging trends with respect to solid waste in the United States. Dr. Berenyi is a research associate of the Earth Institute, Columbia University and has served on the faculties of Columbia University, Baruch College, the Maxwell School at Syracuse University, and the Milano School of Management at the New School. She has published books and articles in academic and trade journals and spoken at numerous conferences and seminars on environmental, market, and governmental service delivery issues. She holds a doctorate with distinction from Columbia University. Jim is the Economic Development Director for the Town of Windsor, Connecticut. He leads Windsor's economic and community development activities which include business retention and recruitment, small business assistance, redevelopment, housing rehab and neighborhood development. He is the primary liaison among Windsor and its business and development partners. 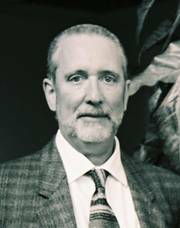 Mr. Burke has spent over 25 years in the field of community and economic development. Prior to joining Windsor in 2000, he was the Director of Community and Economic Development for the City of Dubuque, Iowa. In that capacity, he managed city planning, code enforcement, housing, historic preservation, neighborhood development and public health activities as well as economic development. Prior to Dubuque, he served for four years as planner for Deerfield, Illinois, a suburb north of Chicago. Mr. Burke received his bachelor's and master's degrees in political science and urban studies, respectively, from Loyola University of Chicago. He is a member of the American Institute of Certified Planners (AICP). He is also an associate member of the Urban Land Institute and a member of the International Economic Development Council, and the Connecticut Economic Development Association. 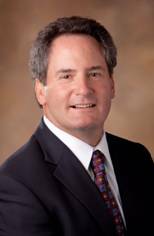 Jim is currently serving on the board of the Connecticut Economic Development Association. 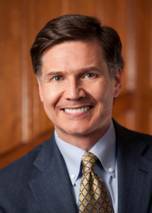 Scott is the Chief Executive Officer and Founder of the Product Stewardship Institute (PSI). Prior to founding the Institute in 2000, Scott served seven years as the Director of Waste Policy and Planning for the Massachusetts Executive Office of Environmental Affairs. He is a founding Board Member and past-President of the North American Hazardous Materials Management Association, whose mission is to reduce the toxicity of the municipal waste stream. He is also a founding Board Member of the Global Product Stewardship Council, which harmonizes product stewardship programs internationally. Scott has worked on product and waste management issues for the past 30 years, for a start-up solid waste management company, a non-profit statewide environmental group, and several other government agencies, including the New Jersey Department of Environmental Protection and the Massachusetts Water Resources Authority. He is author of a comprehensive book chapter on product stewardship in the 2008 Handbook on Household Hazardous Waste. He was also a syndicated newspaper columnist in Massachusetts, and a former columnist for the Boston Business Journal. 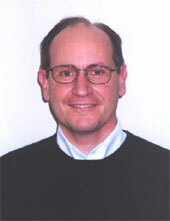 Scott has a master's degree in environmental policy and dispute resolution from the Massachusetts Institute of Technology, and an undergraduate degree in Geology and Environmental Studies from the University of Pennsylvania. Pascal is a co-founder of Recyc-Mattresses, a Montreal, QC based company that finds innovative solutions for recycling used mattresses and boxsprings created in 2007. The company's renown has now spread abroad. Recyc-Mattresses is well established in Toronto, South Florida and in the suburbs of Paris. He currently operates 9 recycling facilities with new branch opening soon in Calgary, which will allow Recyc-Mattresses to expand their activities in the Canadian West. Pascal has been in the recycling business since 1992 (car recycling, carpet recycling and mattress recycling). Prior to recycling businesses, he started in on-line company in the pre-internet age of 1988. Pascal attended University at HEC Montreal Business School. Susan is the Executive Director of the Container Recycling Institute (CRI). CRI has become recognized as the expert source for information on container recycling and container deposit systems, and plays a vital role in educating policymakers, government officials, and the general public regarding the social and environmental impacts of the production and disposal of one-way beverage containers. Susan has spent 20 years advising over 80 municipalities on municipal solid waste and recycling programs and sustainability issues. She recently completed an extensive international research project comparing the financial, operational and policy aspects of container deposit and packaging systems in California, Germany and the Canadian provinces of Ontario and British Columbia. 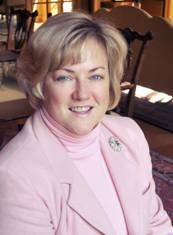 She spent nine years on the board of the California Resource Recovery Association, has a B.S. in manufacturing engineering from Boston University and an M.B.A. from UCLA. Michael is a lifelong resident of Connecticut. Michael has held the position of Logistics Director and Raw Material Procurement Manager for Fusion Paperboard since 2008. Michael has designed a process which has succeeded in reducing Fusion's carbon footprint by matching raw material purchasing strategically placed by Fusion's customer delivery base. Michael is a member of the Rainforest Alliance group, Small Business Association and the A.T.A. Prior to working with Fusion Michael worked at International Forest Products paper mill, Rand Whitney in Montville, CT where he was charged with managing all fleet and warehousing operations along with machine run scheduling. Michael started his recycle paper career with Smurfit-Stone Container in Uncasville, CT in 1990. Michael was a small business owner prior to entering the recycle business. Wayne is a Co-Founder and Vice President for Governmental Affairs of Harvest Power Inc. and Harvest's Vice President for Governmental Affairs. He works on renewable energy policy at the federal, state, and local levels, with a particular emphasis on creating a favorable policy environment for production of biogas via anaerobic digestion. He is a member of the Board of Directors of the American Biogas Council and co-chairs the Council's Legislative and Regulatory Affairs Committee. Before joining Harvest, Wayne was a co-founder and General Counsel of Backyard Farms, LLC of Madison, Maine, where he directed the environmental permitting processes for development of over 40 acres of greenhouses and a 17 MW combined heat and power biomass facility. Previously, Wayne was Chief Compliance Officer for Fidelity Brokerage Company. He is a graduate of Harvard Law School and Williams College. Resa is a consultant providing policy and planning services with a focus on recycling and sustainable materials management. 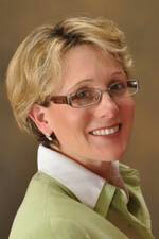 She has more than 20 years of experience in recycling policy, programs and business development. 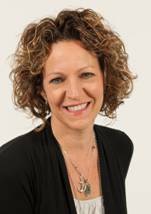 Prior to launching her consulting practice, Resa was the Director of Legislative Programs at WeRecycle!, an E-Stewards certified electronics recycler headquartered in Mt. Vernon, NY. In that capacity, Resa worked to develop collection networks in Northeast states that have electronics recycling legislation. Before joining WeRecycle! Ms. Dimino worked as a special assistant in the Commissioner's Policy Office of the New York State Department of Environmental Conservation. In her time at DEC, Resa lead the agency's efforts to create a new statewide solid waste management plan entitled Beyond Waste: A Sustainable Materials Management Strategy for New York. She was also part of the team that crafted the New York Electronic Equipment Recycling and Reuse Act, enacted in May, 2010. In other experience, Ms Dimino worked as the Director of Programs for the Bronx River Alliance, Environmental Analyst for Bronx Borough Presidents Adolfo Carrion, Jr. and Fernando Ferrer, Program Director for Bronx 2000, and Environmental Affairs Advisor for Big City Forest, Inc. Ms. Dimino holds a Bachelor of Arts from Dickinson College in Carlisle, Pennsylvania. Sean is one of the original founders of FCR, now known as ReCommunity. As the President and COO at ReCommunity he is responsible for all new business and for facility design, construction, and start up. He is responsible for developing the overall design of the building and processing equipment through careful review of the work of the engineering staff of the vendors. He is also responsible for research and development of new markets. He continually meets with current and potential equipment vendors to improve current designs and identify new processing techniques and equipment. He works with the end users of the products to develop techniques for capturing new materials or improving the quality of the existing materials. This is accomplished through the review of the facility performance measures and frequent discussions with each of the facility managers. He received a Bachelor of Science degree in Biology with a concentration in Environmental Science from Central Connecticut State University. Mr. Duffy has been involved in the design, construction, and operation of every FCR facility. Diane is DEEP's Assistant Director of Waste Engineering and Enforcement in the Bureau of Materials Management and Compliance Assurance. This division administers the state's materials management programs, as well as pesticides management programs. The division is responsible for the permitting and enforcement of solid waste and hazardous waste facilities and activities and for implementation of Connecticut's Solid Waste Management Plan, focusing particularly on simplifying and incentivizing beneficial use, composting, and recycling to ensure materials remain in the stream of commerce. Diane has worked at DEEP since 1992 in the areas of materials management and contaminated property clean-up. 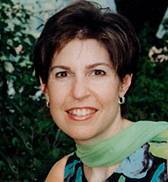 Diane graduated from Brown University and has a master's degree in environmental management from the Yale School of Forestry and Environmental Studies. In 2004 and in 2008 she and other DEEP staff received US EPA National Notable Achievement Awards for regulatory reform and innovation. In 2011 she received the Public Service Award from the Meriden Women and Families Center's Women in Leadership Awards program. Mr. Esty is the Commissioner of the Connecticut Department of Energy and Environmental Protection (DEEP), the state agency charged with conserving, improving and protecting the state's natural resources and environment and ensuring that Connecticut has a clean, affordable, reliable and sustainable energy supply. Prior to becoming Commissioner, Esty was the Hillhouse Professor of Environmental Law and Policy at Yale University. He also served as the Director of the Yale Center for Environmental Law and Policy and the Center for Business & Environment at Yale. Commissioner Esty is the author or editor of numerous books and articles on environmental policy issues and the relationships between environment and corporate strategy. Commissioner Esty's career includes serving in a variety of senior positions for the US Environmental Protection Agency as well as practicing law in Washington, DC. and serving as an advisor on the 2008 Obama Presidential campaign and transition team. Commissioner Esty holds a B.A. from Harvard, an M.A. from Oxford, and a law degree from Yale. He is a native of Connecticut and now lives in Cheshire. Chris is Vice President and Co-Founder of GreenCycle of the Northeast. Among his responsibilities is the development of organic recycling programs for municipalities and private corporations. In addition he assists with other GreenCycle companies in the optimization of their composting process. He recently spearheaded GreenCycle's pilot food waste composting project in Connecticut. 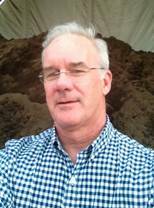 Prior to joining GreenCycle, Chris was Vice President of Compost Services at Earthgro. He is a graduate of Harvard College. Elliot currently serves as President and Chief Executive Officer of the Connecticut Center for Advanced Technology, Inc. Prior to his present position, he served Congressman John B. Larson as his Chief of Staff from 1998 - 2007. This followed Mr. Ginsberg's teaching non-profit and human services administration at the University of Connecticut, School of Social Work (1997 - 1998). Mr. Ginsberg's previous work experience entailed serving as a Family Support Magistrate for the Superior Court of Connecticut (1991-1997). At the start of Connecticut Governor William O'Neill's second term Mr. Ginsberg was appointed Commissioner of the Department of Human Resources where he managed the statewide human services department for six years (1985-1991). In 1979 Mr. Ginsberg became the Executive Director to the statewide training and advocacy organization of the legal services programs in Connecticut. After law school Mr. Ginsberg took a position as a Senior Manager of Connecticut Legal Services (1973-1979). Elliot Ginsberg is a graduate of Franklin & Marshall College (BA, Economics) and of the University of Connecticut, School of Law. Dale is the Director of Renewable Energy Deployment for the Clean Energy Finance and Investment Authority (formally the Connecticut Clean Energy Fund). He joined the CCEF in January of 2005. Previously, he served as Director of Project Development and then, Project Advisor for US Energy Biogas Corporation. Prior to his assignment with USEBC, he held the position of General Manager of Yankee Energy Services Company's Energy Division, which developed, owned and operated on-site energy and landfill gas electric generating facilities. His project development experience includes developing, constructing and operating on-site cogeneration, landfill gas electric generation and fuel cell power projects in Connecticut, New York, Massachusetts, Illinois, Texas and Pennsylvania. Mr. Hedman holds a MBA from Xavier University and a Bachelor's Degree from Ohio Wesleyan University. After a long career in health care and hospital administration, Lee "career-hopped" into the natural products industry with Whole Foods Market in 1996. He was particularly drawn to Whole Foods by the company's Mission, and is passionate about Core Value #5: "Caring for our communities and the environment". After spending 7 years on the operations side, in 2003 Lee took on the newly-created role of EcoCzar for the North Atlantic Region. As such, he is responsible for creating, implementing and overseeing all programs and initiatives which fall under the umbrella of Whole Foods Market's "Green Mission". These include forming "green teams", and helping them to establish composting, recycling, and source reduction initiatives, overseeing energy and resource conservation programs, working closely with the Construction and Marketing teams, and participating in new team member training and development. Lee also works closely with Whole Foods Market's Global Green Mission Task Force, working on such initiatives as sustainable packaging, alternative fuels, "green" cleaning products and practices, and renewable energy projects. He is Co-Chair of the company's Responsible Packaging Task Force. Alison an environmental attorney with over 15 years experience in both the private and governmental sectors. She is currently the Vice President for Government Affairs with the American Coatings Association and responsible for the Architectural Coatings and Government Affairs Committees. She also served as the Executive Director and now General Counsel and Corporate Secretary for the newly formed PaintCare stewardship organization. Other employment experience includes the Environmental Protection Agency's Headquarters office, the Maryland State Senate and private practice. Alison has her BA in Biology from St. Mary's College of Maryland and her JD from Golden Gate University in San Francisco. She is admitted to the practice of law in both Maryland and the District of Columbia. 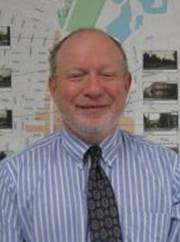 Dale has worked in the economic development and community development field for nearly twenty eight years. He has written and/or administered over $90 million dollars in grants funded by State and Federal programs throughout the State of CT. He has been the Director of Economic and Community Development for the Town of Hamden for over twelve years. He manages redevelopment and brownfield projects, manages tax incentive and small business loan programs, administers State and Federal grants, is responsible for the Town HUD CDBG program; implements Marketing Business Cluster Programs, and Workforce Development initiatives and is a good friend to the business community. He is also the Executive Director of the Hamden Economic Corporation, a 501c4 Corporation. 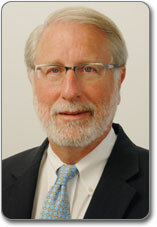 Dale is a Past President the CT Economic Development Association and the CT Community Development Association. He is the author of the Grant and Proposal Writing Workshop and serves on the boards of several organizations. Jeff began his career in government, working in the executive and legislative branches at the local, state and federal levels for public officials in the State of Connecticut. He joined the Bechtel Corporation, one of the world's premier engineering and construction companies in 1987 where he spent seventeen years managing government affairs, strategic communications and community relations programs. He played a major role in siting numerous industrial facilities, helped re-write their environmental guidelines, and established sustainable development as a core principle within the company. Since returning to his home state to raise his two children, he has been working with local, regional and national clients on economic development and sustainability planning issues. 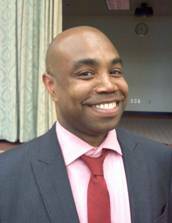 He is the co-author of B Green 2020, Bridgeport Connecticut's comprehensive sustainability initiative, and serves as the Private Sector Program Manager for the Bridgeport Regional Business Council to implement many of the plan's recommendations. Lorenzo is the Green Business Manager at the Center for EcoTechnology (CET). He has been with CET since 2000 and has provided technical assistance, training and outreach to businesses, institutions and municipalities to help improve environmental performance. He developed a toolkit for restaurants and schools interested in establishing composting programs and has developed lamp-recycling infrastructure statewide. He helped developed and delivers CET's Greening Your Business service, providing waste diversion and energy efficiency information and technical assistance to a wide range of businesses. Overlapping with his time at CET, through 2009, he also served as Special Projects Coordinator for the University of Massachusetts, Office of Waste Management where he oversaw the campus composting program. He serves on the MA DEP Organics Subcommittee and was part of the DEP's Mercury Management Act work group. 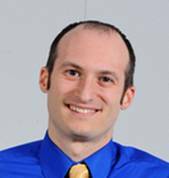 Mr. Macaluso has a Masters of Public Health with an Environmental Health focus, and a Bachelor of Science in Natural Resource Management; both degrees are from the University of Massachusetts, Amherst. CJ has served as Yale University's recycling coordinator since 1990. During this time he has been involved with the piloting and full-scale implementation of several programs for the collection of organics from special events, dining service operations and office environments. For these efforts CJ implemented extensive reviews of materials collected by weight, and consideration of collection method and education. CJ is involved in a wide range of sustainability efforts off-campus. He has served as the president of the Connecticut Recyclers Coalition and remains an active member of its board. He is perhaps the only recycling coordinator ever featured in Magic Magazine and to have ever attended McBride's Magic and Mystery School, a real-life "Hogwarts" for modern day magicians. 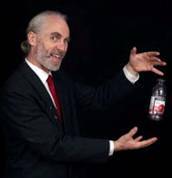 CJ combines his love for magic and devotion to sustainability in presentations on recycling, water, energy and the entrepreneurial opportunities of the 21st century (betterworldmagic.com). Macky has been the Deputy Commissioner at the Department of Energy and Environmental Protection since September 2011. Previously he was with McKinsey & Co., the highly respected global management consulting firm, since 2006 where he held various positions of increasing responsibility and worked on transformational efforts for a wide variety of clients. At McKinsey he was involved with several major international cities to help prioritize operational improvements they can make to reduce greenhouse gas emissions. Macky also managed a team that developed a long-term economic and environmental sustainability plan for a regional government organization in the Mid-Atlantic States. The plan featured initiatives to address water conservation, sewage, solid waste disposal, and increasing the use of alternative energy. Prior to joining McKinsey, Macky was the co-founder and president of EmPower CES, a start-up clean energy and green building development company. Macky built EmPower around a commitment to energy independence and environmental stewardship â€“an approach totally in synch with the vision of DEEP - and the company remains in business marketing clean energy products and services to homeowners, businesses and institutions. Macky holds both a BA and an MA from the Yale School of Architecture and earlier in his career worked as an architect. 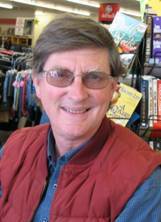 Terry has been Executive Director of the St. Vincent de Paul Society of Lane County, Inc. since 1984. Under Terry's leadership St. Vinnie's has grown into the largest non-profit humanitarian agency in Lane County, Oregon with 320 employees, over 950 units of affordable housing, five emergency service programs, eight retail thrift stores, a vocational services department, and 10 distinct recycling and reuse programs. Through its numerous programs and services St. Vinnie's serves over 84,000 people every year. Terry has degrees in Political Science and History and a Masters of Education from the University of Oregon. Day is a successful eco-preneur and the award-winning sustainable business owner and founder of GG2G. In 2011 she received the State of Connecticut Green Business Award and the ReSet Social Enterprise Trust Award for a new business model, and in 2009 Day was the recipient of the prestigious Eileen Fisher Women's Business Award. Day has a B.F.A. from Rhode Island College and has also studied design and painting at the Rhode Island School of Design and Marine Biology at the University of New England. She has worked as a set designer, an art restorer at Sotheby's, an art director, and a sous chef. Along with being a born environmentalist Day's extensive and varied experiences and fine art and design background, help her to work across disciplines as well as create innovative, cutting edge designs and ideas for GG2G. GG2G, is a 6 year old eco and animal friendly handbag and accessories company that utilizes locally discarded materials. We salvage materials "pre-landfill" and transform them in to high end fashion accessories using little additional energy. John has lived in Ridgefield for nearly 17 years with his wife Noreen. They have four children (in High, Middle and Elementary Schools) and a few animals. John graduated from Xavier University, Ohio, in 1986 with a Finance Degree and went on to work in the Capital Markets Intelligence industry during the 90's. During that time he was a co-founder of The Carson Group which grew to a global 300-person firm advising public companies and Wall Street. Over the past ten years he has been transitioning from a Wall Street lifestyle to Main Street-Local Lifestyle, from a Technologist to an Ecologist. He is actively involved in numerous sports, school and town committees. One of John's most prized ventures is Pro Shop Solutions (PSS) which has worked with over 300 Country Clubs in the last several years. Based in Ridgefield, apparel is PSS's first solution, however it was all sources outside the USA. PSS is now actively engaged in having a line of clothing that is more locally created and made from more sustainable materials for all the benefits that it provides on a local and regional level. John was born in Bridgeport, raised in Fairfield and is a graduate of UCONN. He moved to California to pursue a graduate degree in Economics at University of Southern California. John's career includes positions at the Federal Reserve Bank of Richmond and at Pacific Bell as an economic forecaster. John has also taught high school, worked for a large marketing research firm and has owned a table manufacturing business. John started Amazon's paint recycling facility in Minneapolis, Minnesota in 1999. He is currently President and part owner of Amazon Environmental, Inc.